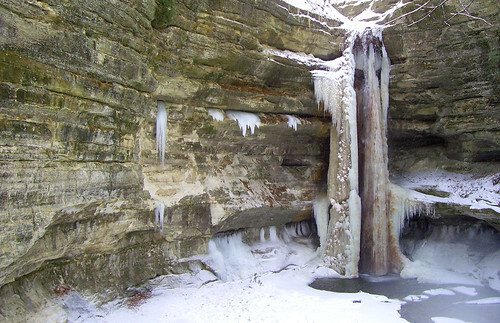 Starved Rock State Park | ¿Qué Onda Guero? Karen and I took a drive out to Starved Rock State Park to scope out some camp sites for this spring, get some fresh air and stretch our legs a bit. The road to the camp sites is closed so we didn’t get to do any scoping, but the trails are open. It was a very cold and snowy day but beautiful nonetheless. Click to view the set on Flickr. This entry was posted on Sunday, January 11th, 2009 at 6:23 am	You can follow any responses to this entry through the RSS 2.0 feed.